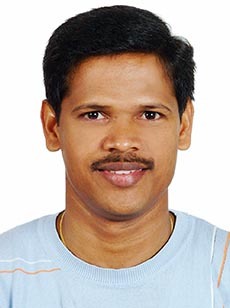 Dr. Saminathan Thangasamy has a BS in Agriculture, MS in Plant Breeding and Genetics and PhD in Biotechnology (Rice Functional Genomics). Interestingly enough, it was my boss that redirected an email from IdeaConnection to myself and my lab mates about participating in the Crop Yield IdeaRally®. I was very interested in addressing some of the responses, as I hail from a farming background. I enjoy being involved in this kind of activity where I can learn and share my thoughts. Many of the posts were really pragmatic and at least partially applicable. At the outset, I was aiming at winning prizes. But comparing other people’s ideas, mine was reasonable and applicable, but not very basic. I was bit shocked when I was notified that I was one of the winners. It was good news and it encouraged me to keep going. Even if I hadn't won a prize, I have to praise the ideas of others for the betterment of agricultural. I an grateful for the opportunity given to me. It is great to deal with important topics in agricultural development by interacting with experts and experienced people. I am looking forward to participating in more of the same.